You Can Now Get All 4 Golf Improvement Programs (ALL AT ONCE) From The Consistent Golf School - Plus The Following 17 FREE Gifts - For One Low Price! This Page And Amazing Offer Is Being Removed At Midnight On The 16th of December 2014, USA Eastern, Time So Grab This While You Can! Do you struggle with tee shots, fairway woods, hybrids and irons? 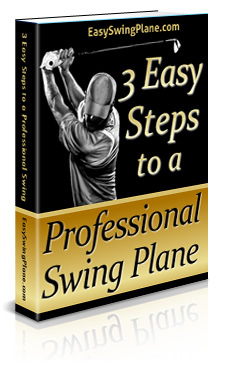 If you do, this proven step-by-step plan will help you become a great, consistent ball striker. Do you waste a lot of shots due to your poor pitching, chipping and bunker shots? If so, then this proven step-by-step plan will help you up-and-down it from anywhere. Is the worst part of your game putting because you miss easy short putts regularly and 3 putt too often? 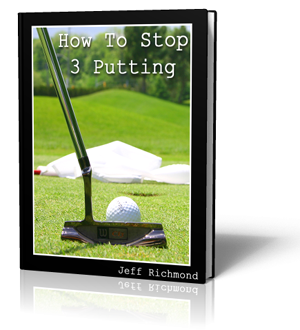 If this is the weakest part of your golf game this proven step-by-step plan will help you become as good a putter as a PGA Tour player. Are your scores higher than they should be because you lack confidence and mental toughness? If this is the weakest part of your golf game you'll be glad you've found this proven step-by-step plan that will train your brain to become mentally tough. Plus, when you get this special right now you will get the following gifts for FREE!... 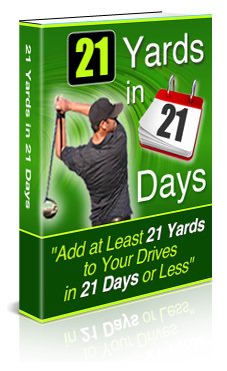 Free Bonus #1: 21 Yards In 21 Days With this program you WILL add 21 Yards To Your Drives In 21 Days or less and here’s how that’s going to happen. Every day of this new program you will…. …get one new drill or exercise that WILL add AT LEAST 1 – 10 yards to your drives in just 15 minutes per day. Free Bonus #9: The One-Putt Mindset Training Module When you join the online Consistent Golf School now, you'll also receive a special, 9 minute, mental training session designed to give you the One-Putt Mindset. And you can do this mental training session right at your computer. When you use this training module you'll be programming your mind to hole your first putt, which naturally will help you to lower your scores. Plus when you use this training module you'll discover it's the easiest thing you've ever done to improve your putting....because you can do it with your eyes closed! What you must do when you're walking up to the ball to help you hole more putts. Why all putting strokes should take the same amount of time -- regardless of the length of putt. Free Bonus #12: Top Secret Golfing Confidence Audio When you join the online Consistent Golf School now you'll also be able to download FREE the digital version (i.e. you can download it to your computer) of a golfing confidence CD that has been sold for $24.95. This audio exposes you to a secret mental technique that some of the top professional golfers in the world have used to automatically program their minds for golfing success. After 30 days of continuous listening to this audio this is what you can expect…. The 2 important things you should do as you're driving to the golf course to almost guarantee a good round. Also Golf’s MVP guarantees to add distance to your drives and lower your scores! 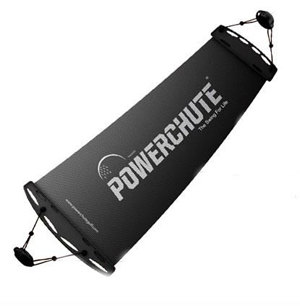 Sounds great but will this training aid live up to the hype. Read my review to find out. tour quality impact just by practicing with the Tour Striker. Read my review to see if it will do this OR not. That's a lot of claims. Read my review to see if it lives up to any of these claims or not. Free Bonus #15: The Problems And Solutions Database As a student of the online Consistent Golf School you'll have full access to a BIG database that will quickly give you the solution to virtually any golfing problem you're having. You see, this database contains 412 (and growing) answers to golfers problems. And these solutions are arranged in a very logical order so you're bound to find the solution to practically any golfing problem you're ever going to get, and fast. Here is a sample of just some of the problems you'll get solutions to when you become a student today... Problem - I seem to jerk the club away instead of taking it away smoothly and this happens with all my clubs. Do you have any techniques, which will fix this? Problem – What should my shoulders and hips be doing in my backswing so I get the most power possible? Problem – I’m missing too many easy three footers and my confidence is diminishing with each miss. Please tell me what I can do to improve my short putting confidence? Problem – I am lacking in feel and distance control around the greens. What can I do to improve my touch? Problem – When I'm in between clubs I don’t know whether I should swing easier with more club or swing harder with less club. What do you think? Free Bonus #16: Free Help And Support From A Golf Professional Naturally the problems and solutions database is huge value. But sometimes you’ll just want to get some personal advice about your current problem. 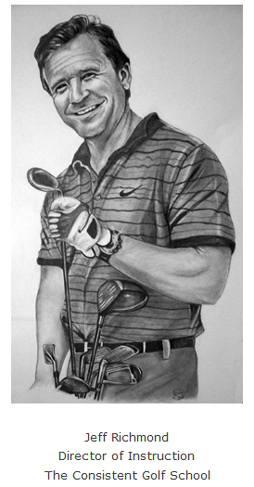 And as a student of the Consistent Golf School if you have any golfing questions or problems simply send them in and you'll get a response back from me personally (Jeff Richmond) within 24-48 hours (generally sooner) Monday-Friday. Free Bonus #17: One Free Video Lesson When you join the online Consistent Golf School now, you'll get one free video lesson to redeem when you want. So simply send me your swing on video (full instructions on what you need to do for this are in the student only website) and I will analyze your swing and send you back advice and a plan on what are the main things you need to work on improving. After your first free video lesson you can get further video lessons at any time for just $50 each. When you get this Complete Consistent Golf Improvement Package now you get a full 30 day money back guarantee. If you're not happy with it for any reason then within 30 days of joining you can get 100% of your money back -- without any hassles. Now obviously by making this so cheap, risk free and giving so much away for free, straight away I'm taking all the risk from you and putting it back on me. But remember, this amazing offer is only available until midnight on the 16th of December 2014. So now you know all of this, clearly you have no risk and everything to gain by taking action now and clicking here to start your 30 day risk free enrollment now. Because when you do this you'll be able to start practicing simple drills today, and exercises indoors at home, that will help you become the consistent golfer you want to become. Finally, I look forward to helping you to become the best golfer you can become and fulfilling your potential so you'll have more fun and enjoyment playing golf. To do this simply get out your credit card now and click the Add To Cart button below and process your order securely through PayPayl.com. Once you've successfully completed your order you'll then be transferred to a secret page where you can get all the lessons in the four main areas of the online Consistent Golf School plus the other bonuses. And remember, you have 30 days to check this out to make sure it's everything I say it is otherwise you can get a 100% refund with no hassles. But if you don't get this now you'll probably never play golf to the level you hope or think you're capable of. Don't let that happen to YOU! Aren't you sick of your inconsistency? Aren't you sick and tired of hitting shot after shot that are miles away from your best? So just imagine how much better you'd feel when you are consistently playing up to your potential. Well, that will never happen unless you take action and create better habits. 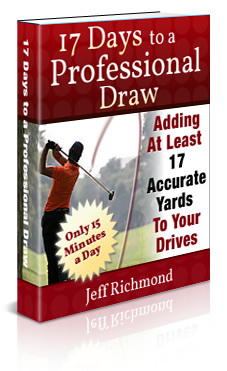 And now you can save $1502.60 and become the consistent golfers you've always dreamed of. Take action now and click here to secure your spot before someone else does! Don't you think you owe it to yourself to take action - do something completely different and stick to a plan that is going to give you the golf game of your dreams? Think about that...aren't you sick of your inconsistency? Don't you want to move on and build yourself a great game that allows you to play to your potential consistently? Take action now. Simply click the "Add To Cart" button below. Then after you've successfully processed your order you'll be directed to a page to get access to everything mentioned on this page. Important Note: If you're not 100% sure whether this all of this is for you, get it anyway and then use the 30 day, 100% money back guarantee if you have to. That's what it's there for....to protect you! I'd hate for you to miss out on becoming a great consistent golfer because of bad experiences with other inferior golf improvement products.